Interested in working for the leading organization behind defending your outdoor heritage? 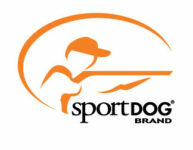 See what positions are available at Sportsmen’s Alliance below. Are you passionate about hunting and fishing? Are you tired of hunting getting an unfair shake in the media? Do you want to keep the animal-rights movement from destroying hunting? AND … are you willing to put your name on the line and square off publicly with people who hate hunting (and probably you) in order to protect it? If so, keep reading.